Olasapo is a lesser known fruit native to Central America. It bears elliptical greenish fruit which look like dill pickles hanging from branches. The fruit is gathered from the wild by local people, especially in Mexico, and the plant is occasionally cultivated for its fruit. This fruit has also been introduced in Florida. Ripe fruits when ripe are yellow coloured, of egg yolk consistency and a canistel like flavour. The unripe fruits are highly astringent. 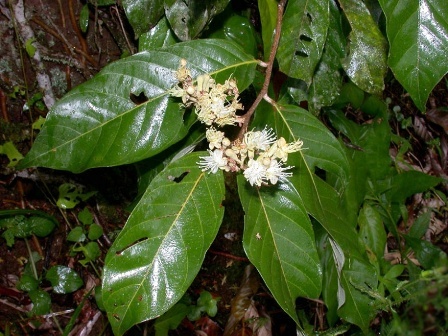 Small evegreenTree upto 15 m.
Leaves with stipules 2–4 mm long, linear, membranous, caducous; petioles 4–7 mm long, with 2 inconspicuous medial glands, terete; lamina oblong to oblong-elliptic, 6–13 cm long on flowering branches, longer on sterile and fruiting branches, 2.5–5.5 cm wide, rounded to cuneate at base, acuminate at apex with acumen 2–10 mm long, glabrous above when mature, with a caducous pubescence when young, densely arachnoid beneath; midrib prominent above, pubescent when young; primary veins 8–15 pairs, prominent on both surfaces. Inflorescences terminal and axillary panicles; rachis and branches with short light-brown pubescence; bracts and bracteoles 1–3.5 mm long, ovate, caducous. Receptacle subcylindrical, c. 4 mm2 long, with short appressed pubescence on exterior, glabrous within except for deflexed hairs at throat; calyx lobes rounded; petals 5, white, glabrous but with ciliate margins; stamens 11–21, inserted in an arc of 180–240°, with a few staminodes opposite; ovary villous, style pubescent for 1/2 its length. Fruit ellipsoid to obovoid, 5–7 cm long, 3–4.5 cm; epicarp smooth, glabrous; mesocarp thick, fleshy; endocarp thin, fragile, of a fibrous texture, glabrous within. If the fruit is perfectly ripe, it tastes quite nice, like butterscotch. But if it is not ripe, then it is astringent and inedible. The fruits are eaten. Their juicy, yellow pulp is sweet but very fibrous. The flesh is soft and sweet but the pulp is semi-dry and like egg-yolk in consistency. Perfectly edible fruits are those which have fallen on ground after becoming over ripe. The fruit of the olosapo is thin-skinned, slightly fibrous and resembles the canistel (Pouteria campechiana) in taste. It is astringent unless fully mature, at which stage it should be quite soft, possibly appearing overripe. 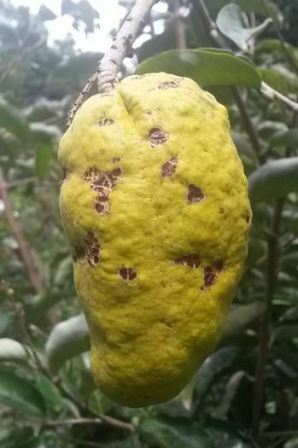 Such fruit are usually found on the ground, having fallen off the tree. 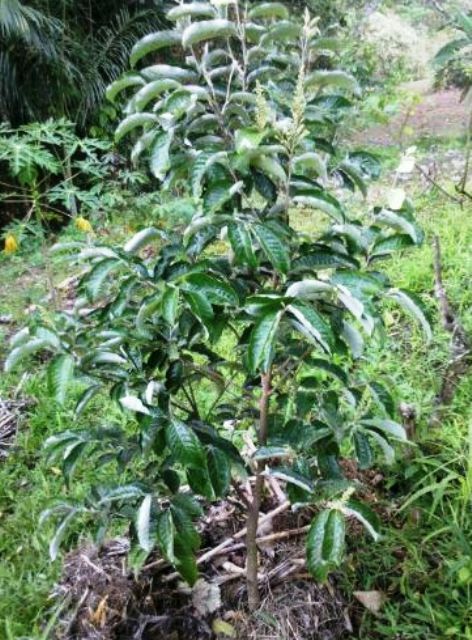 Each crop can consist of hundreds of fruit, and the moderate-size seeds germinate readily under the tree. Seedlings take about six years to bear. The olosapo is reported to be drought resistant, likes full sun and appears free of disease and insect problems in Florida. In its native habitat it is subject to attack by seed weevils. Olasapo is a hardy tree. 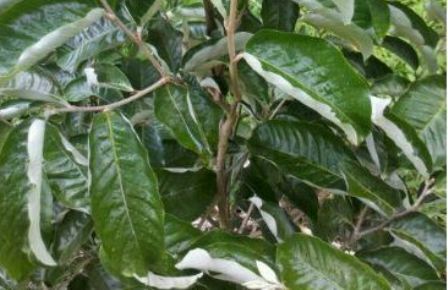 It can bear drought to considerable extent and also free from diseases and insect pests. New plants can be raised from seed. The seedlings take around six years to come into bearing.